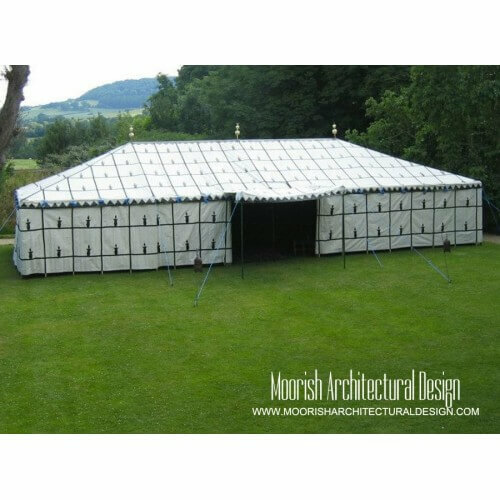 Browse our website for the best quality Moroccan party tents custom handcrafted to your specifications. 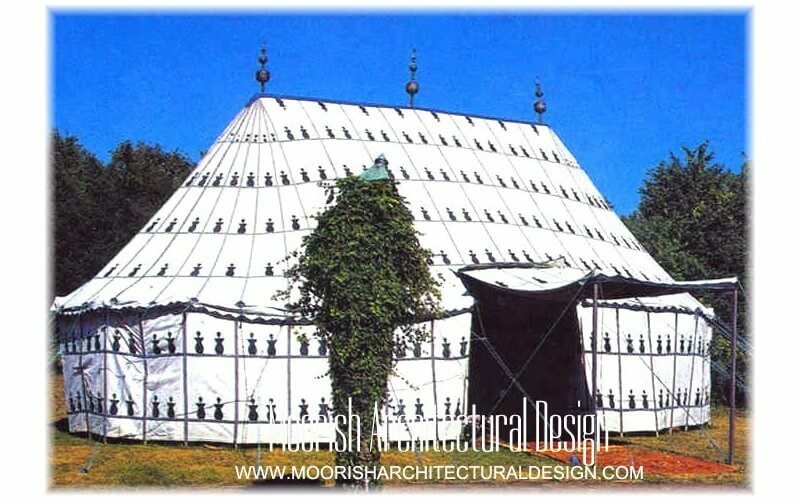 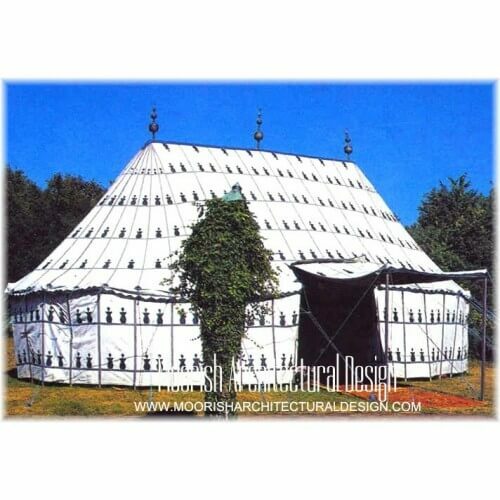 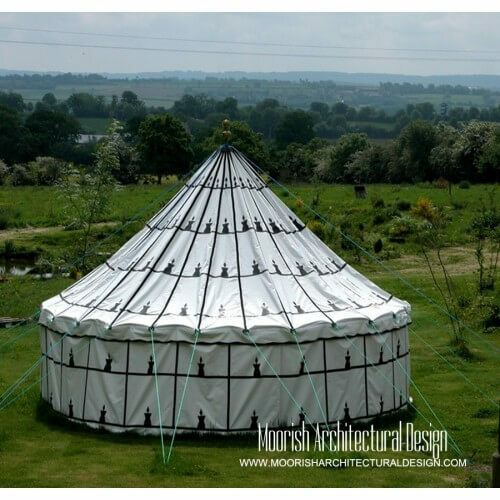 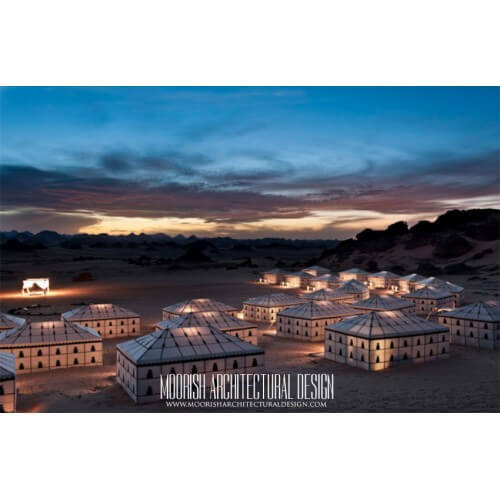 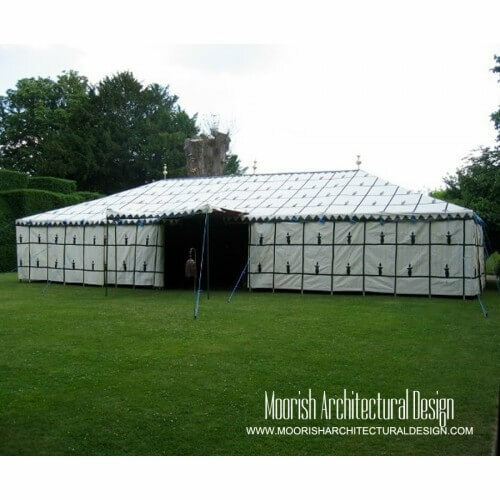 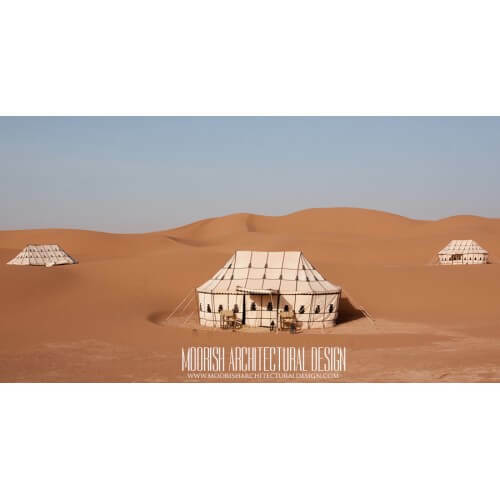 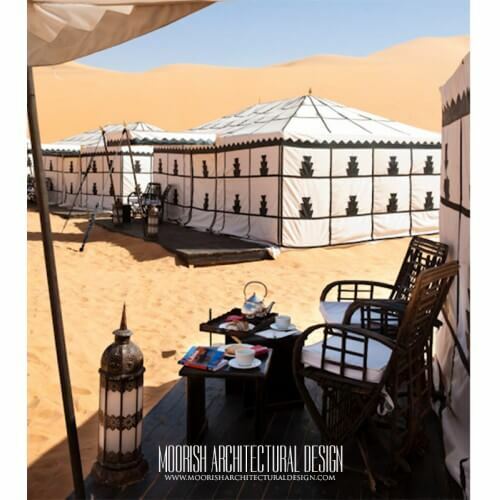 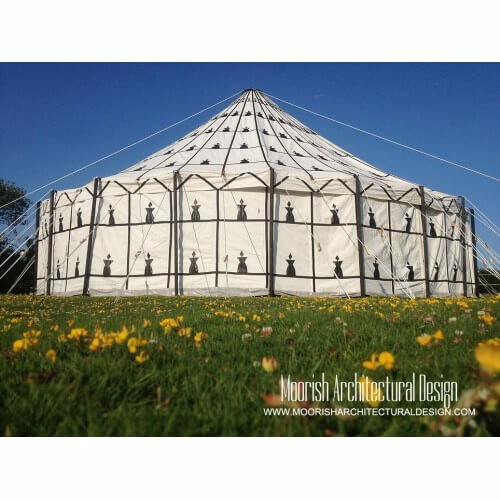 Moorish Architectural Design is the leading manufacturer of original Moroccan tents also known as Berber tents, Moroccan party tents, Moroccan wedding tents, caidal tents, Moroccan marquee tents. 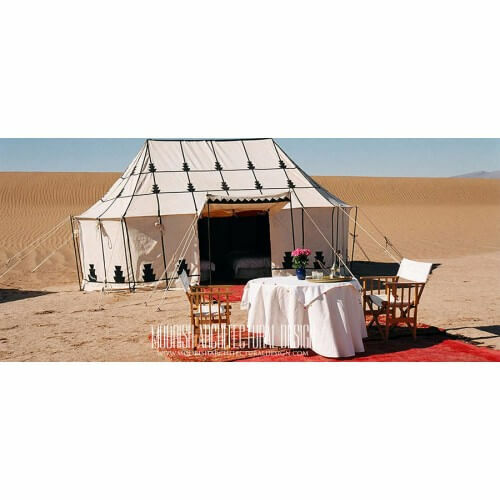 Moroccan tents are traditionally handcrafted by artisans using traditional tools and skills pass down from generation to generation. 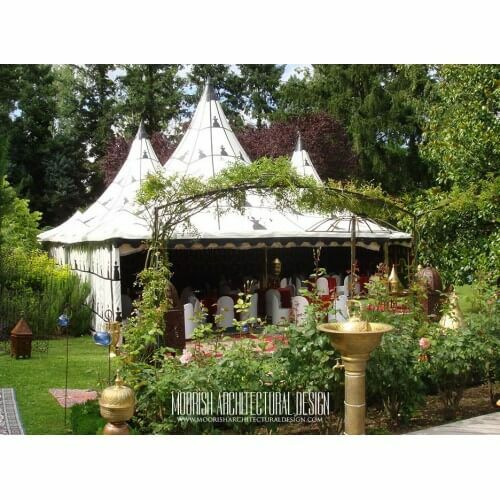 Moroccan party tent are great for a cozy and exotic cabana in your backyard or as a wedding tent or even for camping in the desert. 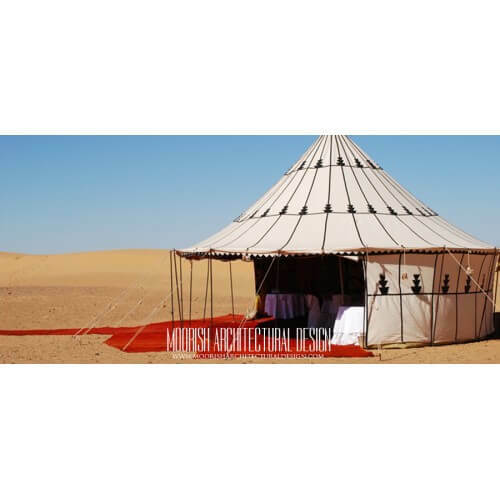 Our Moroccan tents are available in two kind of materials White Cotton canvas or White PVC Water resistant fabric. 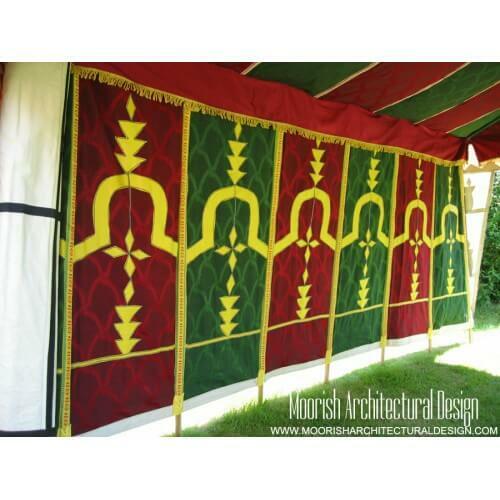 The exterior of the tents is always white with black Berber patterns and the interior of the tents can be either plain white or colorful with traditional Moroccan colors including ( Red, gold, green) or ( Midnight blue & white). 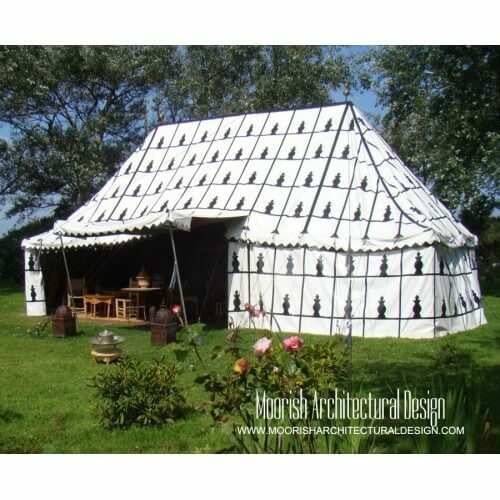 Moroccan Tents There are 8 products.